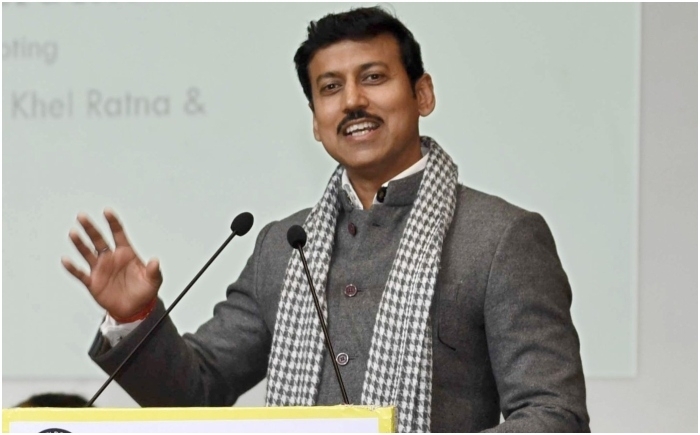 New Delhi, February 1: Urging young athletes to give priority on building self-confidence than any other thing, Minister of State for Youth Affairs & Sports Col. Rajyavardhan Rathore concluded the two days National Conference on Anti-Doping yesterday. He cautioned the athletes about the negative side of doping and advised the athletes to do hard work with a passion and dedication to overcome challenges in life in his address at the concluding session. The conference was jointly organized by National Anti-Doping Agency (NADA) and Physical Education Foundation of India (PEFI) under the aegis of Ministry of Youth Affairs and Sports. Calling upon the young athletes to develop passion and ability to win in sports, Rathore said, “Self-confidence is the only drug you require. It is heartening that youth today is full of confidence to march ahead and there is a hunger to achieve goals in life”. The minister also advised the athletes not to be scared of defeats and challenges. “Defeat makes you learn a lot in life. Right decision taken in adverse circumstances shape your destiny”, he expressed. According to Rathore, an inspiration for the youth to follow, Olympic bronze medallist and six time world boxing champion Mary Kom stated that she has never taken any dope in her sporting career. She also emphasised on the importance of consulting one's doctor and coach before taking any medication. “The country should not face any embarrassment due to doping scandals”, she further added.